The Northern Hemisphere is well into summer, and most backcountry devotees have swapped their skis out for dirt-oriented gear. 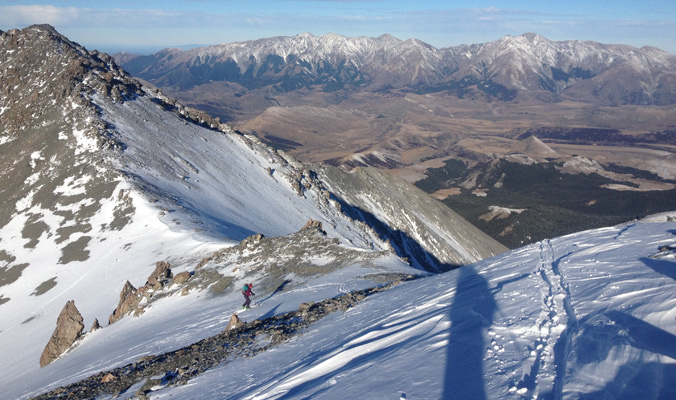 But there are a dedicated few who never want the backcountry ski season to end. These are the die-hards who travel south where the snow is accumulating. 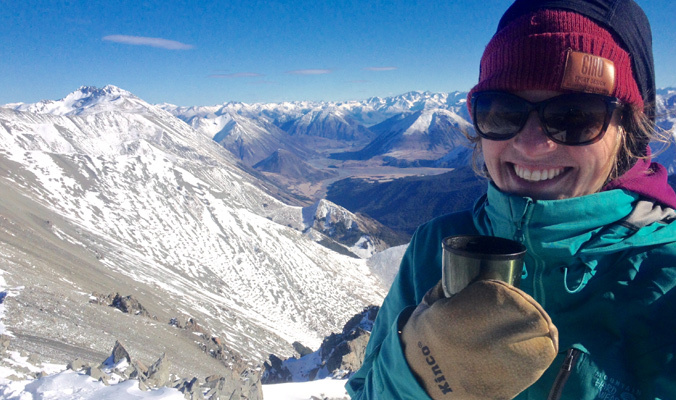 For our next installment of “Austral Aspirations,” we talk with Allie Rood, lodge manager at Temple Basin Ski Club in New Zealand. 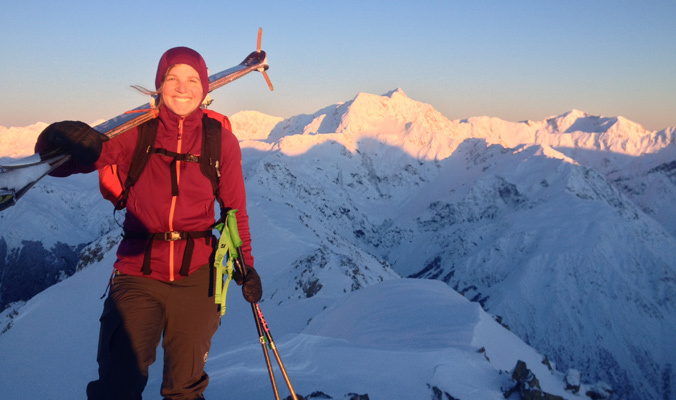 This is Allie’s first “endless winter” and she plans to make the most of it by exploring the Southern Alps of Kiwi country. Backcountry Magazine: What brought you down to New Zealand for the summer? 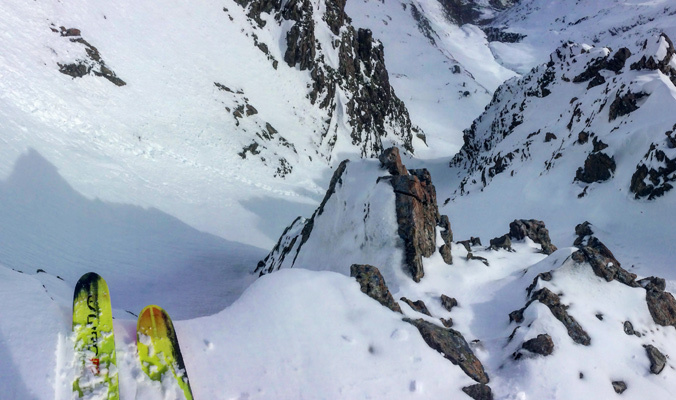 Allie Rood: Last year, I came down and skied at Temple Basin with Armada Skis; it was awesome. We were based out of the lodge here, and going into this summer I was afforded the opportunity to work up here as the lodge manager. BCM: For a quick geography lesson, where is Temple Basin in New Zealand? AR: The South Island. You fly into Christchurch, and the closest resorts to Christchurch are all these club fields, or “clubbies” as they are called [by locals]. They are slightly northwest of Christchurch in the Craigieburn Mountain Range of Arthur’s Pass National Park. Temple Basin is at the the very top of Arthur’s Pass just outside of Arthur’s Pass Village. BCM: What is your favorite part of skiing in New Zealand? AR: My favorite part about skiing in New Zealand is that it’s not very populated. It’s pretty much a freeride and backcountry ski paradise. I had no idea when I came up here last year. I had [envisioned] Treble Cone, because I didn’t really know much about this area. The mountain climbing culture here is really strong, and there are a lot of really amazing mountaineers that come out of New Zealand. 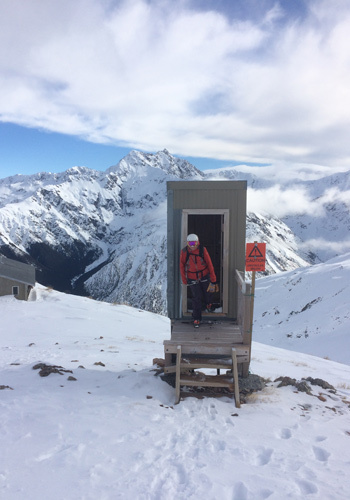 BCM: What are the major challenges of backcountry skiing in New Zealand? AR: I think the weather is the biggest challenge. They will get these massive dumps, but what happens frequently is that a cold storm will come through, we will get a bunch of snow and then we’ll get a lot of sunny warm weather that creates ice. You’re pretty much always skiing ice, especially if you are going out on a [backcountry] mission. We skied Mt. Rolleston, which is the tallest peak in Arthur’s Pass. Over the course of one day we hiked in sneakers, then we skinned, then we put our crampons on, then we put our ski crampons on and skinned, then we put our crampons back on and got to the top, skied, then put our crampons back on. I’ve never transitioned that many times in my life. Being ready for the ice; I think it kind of just goes along with the Kiwi mentality, you need to mentally prepare for big days. 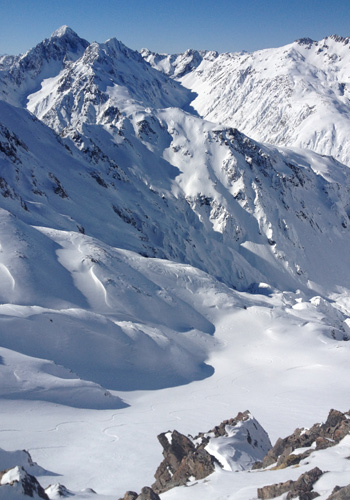 BCM: Do you have any major objectives on the horizon for New Zealand backcountry? AR: It would be really cool to get up and ski some of the bigger peaks like Mt. Cook or Mt. Aspiring in October. It’s definitely weather contingent and we’ve had a lot of hot weather. But it would be really cool to ski off of Mt. Cook, which is the tallest peak in New Zealand, whether I get to the top or not. BCM: What are the basic logistics in making that happen? AR: You are dealing with significant glacier travel, and because the approaches are so big, people will hire a helicopter or an airplane to bring them up to a higher zone. To actually ski Mt. Cook requires ropes and glacial rescue skills and gear. Just climbing Cook is a significant endeavor. Potentially, we would get an airplane ride into the park, base ourselves somewhere and move from hut to hut skiing different lines. I’m not sure that it’s on my horizon to ski from the peak this year. A lot of backcountry trips require a lot of planning and are going to be multi-day endeavors. BCM: How would you describe the backcountry scene in New Zealand as different from that of North America? AR: There are a lot of Europeans and North Americans that come here to ski, and a lot of these people are really experienced. It seems like the people that are here to backcountry ski know what they are doing and have objectives. BCM: What is New Zealand culture like, and how would you compare it to North America? AR: Kiwis are really friendly and always down for a “yarn”—yarning is when you have a little chat with someone. They have yarns all the time, and they love to help you out and give you information. It is a really rugged island. There are huge mountains and the weather changes five times a day—the people are hardy here. An observation that I’ve made, even in Christchurch, is that the houses are less insulated and a lot of them still have single-pane glass. People just go with it, and say, “Oh yeah, she’ll be right.” It’s a pretty cool culture, and there is a feeling of independence and freedom here. You feel welcomed as a foreigner. BCM: Do you plan to keep coming back to New Zealand for a couple more seasons? AR: I don’t have a plan right now, but it’s been pretty amazing meeting all these different people who do spend half their time in the U.S and half in New Zealand—Year round winter. I’m looking at doing three winters, but I’ll come back to North America then decide.